A little over a year ago I wrote a piece about how humans, historically, have broken off from the flow of energy and resources that the web of life both nurtures and relies on through the mechanisms of exchange and accumulation. I also included in that piece a range of individual practices that we can engage in to move us, in the limited ways that are accessible individually, towards restoring the flow – uncoupling giving from receiving, and shedding anything that is beyond what we need. Recently, I was invited to present at a conference on the gift economy. I based my presentation on that piece, and added an entirely new section to it about restoring flows within a community, when everyone together is committing to such practices. This piece is a slightly edited version of that new section. It’s both harder and less effective to aim to individually restore flow when it’s collective patterns that are threatening life. Sustaining ourselves and the biosphere requires turning the tide on a collective level and finding our way back and forwards into flow. Doing this in community rather than individually, in full choice and collaboration, provides visible and invisible webs of support to all community members through consciously designed systems that embed the principles of flow. Such systems are what we have been aiming to put in place in the Nonviolent Global Liberation community, a co-created project that started in the summer of 2017. Its purpose, still being ongoingly revised, has been to nurture us as practitioners and leaders committed to nonviolence, liberation for all life, and collaborative leadership within a framework that I have developed, in collaboration with others, over many years of practice. The community is mostly virtual, and most of our activities take place via Zoom calls and through email, with occasional physical gatherings, gradually happening in more locations around the world. (Upcoming gatherings for 2019 are in Poland, May 9-15; California, August 15-21; Mexico, in Spanish, September 15-21; and the East Coast October 25-30 (not yet posted)). An overarching principle within this community is to allow resources to flow from where they are to where they are needed. This principle is both similar to and different from the socialist principle “from each according to their ability, to each according to their needs.” The similarity is about flow towards what’s needed. The difference is that we replace “ability” with “willingness.” This change extinguishes the necessity of central-planning authorities that dictate ability and decide what counts as need. Everything flows based on agreements entered freely and on requests being asked without holding back. We are supported by emerging new norms that embrace vulnerability, recognition of limits, requests for support, and conscious generosity while transcending unconscious dynamics born of millennia of accumulation of power. The result has been breathtaking. 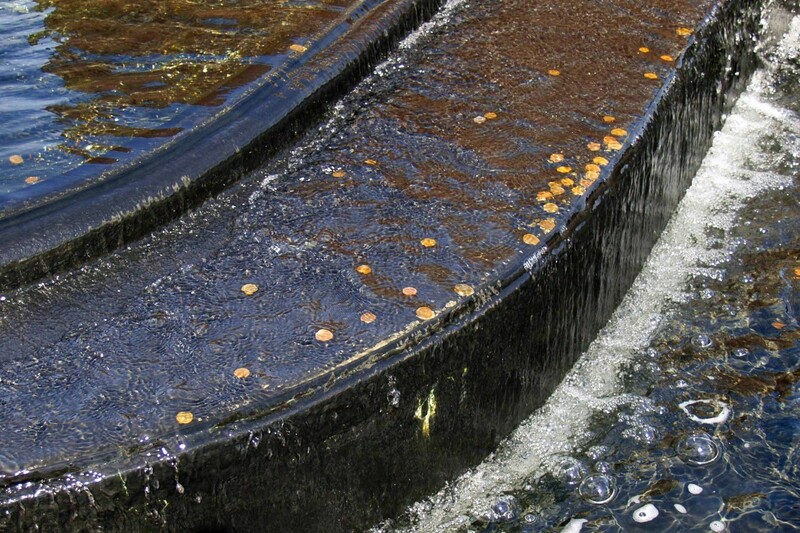 Just as predicted, generosity keeps growing, and problems invite creativity. Resentment is almost nonexistent, and our attrition rate is minimal despite not having sufficient financial means to sustain ourselves. The rest of this post is examples, themselves offered by several members of the community in response to a request from me. Members of the community also offered feedback on the outline and the conference paper itself, again in response to my request. We are relearning, collectively, to know what we need and to communicate it through making requests. Our experience has been unequivocal: when asking becomes normative, more people ask, and more people give. Asking increases relationship and intimacy, because we know more about each other. We are acutely aware of our freedom to say “no,” which allows for a “yes” to be genuine. So asking and checking our own willingness when we are asked both increase simultaneously. There are no rigid role responsibilities. Even within teams, we don’t track who has done more or less, because we operate on trust and no one is “expected” to do any specific amount. One team, for example, handles uploading of recordings to our permanent archive. Requests reach the entire team, not this or that individual, and whoever is available and willing does it, regardless of how many they have already done relative to how many have been done by others. This means that some recordings take longer to be uploaded, when no one is willing immediately. Not all tasks get done. We have learned to track gaps without resolving them. Sometimes, a request remains hanging until eventually someone responds to the need. For example, we wanted to apply to participate in a particular program, and we almost didn’t make it because no one was available to do the actual application. Then, on the very last day, a couple of people with enthusiasm took it upon themselves to pour a few hours into it, and the application got sent in on time. For the most part, it’s uncommon for no one to step forward in response to a request. There’s an ebb and flow as people come in and out of availability and capacity. So far, 18 months into the experiment, we can say that willingness, within the community, without shaming or obligation, has been sufficient to sustain the tasks necessary for the functioning of the community. A consistent obstacle many of us have faced has been internal: a challenge to recognize and honor our limits coupled with shame about “having” to ask for support. We have learned, individually and collectively, that overextending ourselves is fertile breeding ground for conflict, resentment, and burnout. We’ve learned to proactively check in with each other rather than wait for each of us to reach our limits and then initiate requests. We’ve also created pathways to simplify making requests, as well as reflection tools to help us break free from the ways that external structures and our own socialization might otherwise block the flow. 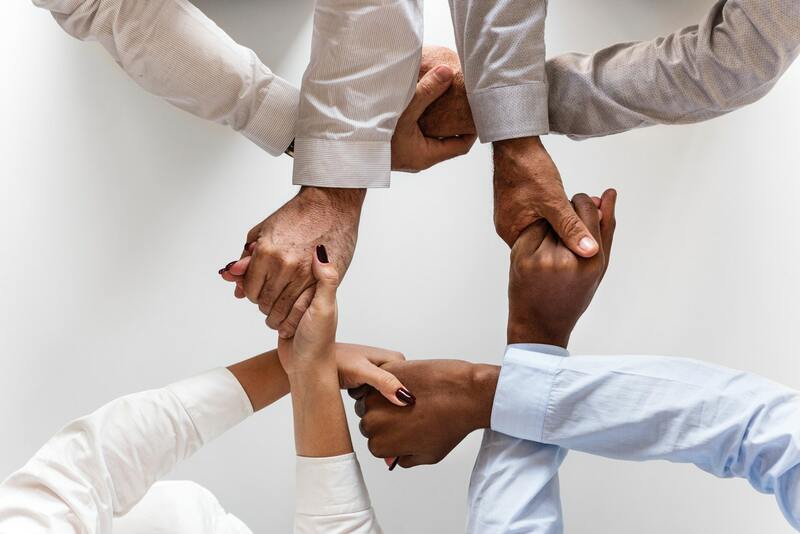 Although we are very focused on making things happen and moving our various projects forward, all our team meetings include opportunities for connection, celebration, vulnerable expression, and collaborative decision-making. 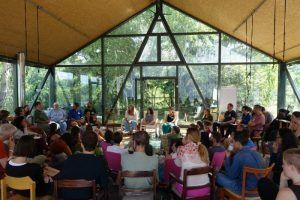 In our week-long retreats, which are open to the public, we operate on a gift economy basis for everything beyond participants covering their accommodations. (A few times, we have taken on covering someone’s expenses as part of the retreat.) Participants are asked to contribute the lower of two amounts: what they are moved to contribute, and what they can contribute without hardship. 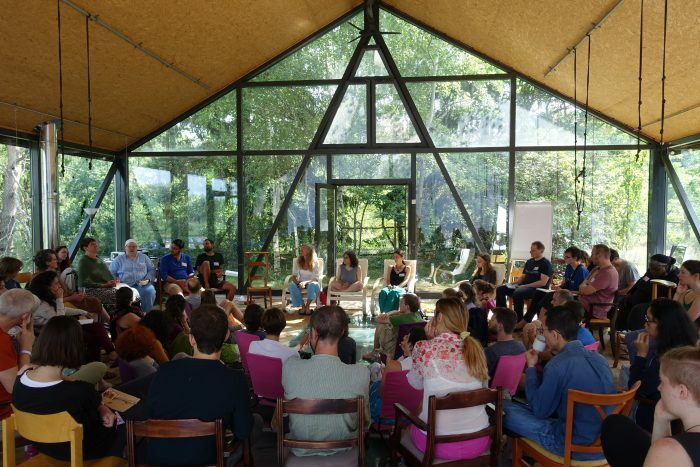 In 2018, in our Poland retreat, for example, we collected $35,000 from 60 participants who gave anywhere from $26 to $1,950. People know we want them to be there regardless of their capacity to give money. The amount we (those of us who put on the retreats) ask for is based entirely on what would be enough to sustain us, not on concepts like “market value” or on how much labor we’ve put in. We then distribute the money received through a process of mutual influencing and dialogue – based, again, on sustainability needs only. We move away from using money for appreciation or recognition; we allow our relationships to do this. Beyond the labor we put into sustaining the community, members are invited to make financial contributions as they are able and willing, and to make requests for their own sustainability as needed. Up to now, the requests strongly outstrip the contributions made, by a factor of twenty to one. Some of us have experienced this gap as generative. So far, it has resulted in the elucidation of a new principle, a re-design of the community structure, and a rethinking of what it means to contribute to the community. The new principle is that, when the needs are larger than the resources available, we give the resources to where they will make the most impact. For example, a person in acute family crisis received $610, which was much more impactful than if that money had gone to someone else who had a request of $7,000, because this amount wouldn’t have made that much of a dent in their need. The re-design, still in process, is to make it possible for far more people to receive from the community and give labor and money without joining as members. While there are other reasons to change the structure, our desire to increase the inflow of resources in response to need has been a key generator of the creativity that resulted in this work. New ways of contributing are just beginning to emerge, as we collectively stretch to find non-monetary ways to sustain each other materially, through what are ordinarily called “in-kind” contributions. Restoring flow is about finding, again, our embeddedness within a larger whole, where care for the whole includes and flows within and from all of us. To do this, we need to restore faith in our collective evolutionary capacity to co-create social systems organized around caring rather than rules; collaboration rather than competition; needs rather than abstract principles; sufficiency rather than maximizing profit – all the principles of gifting that create and sustain flow. There isn’t much time left for us to make these changes on the scale that is needed now. May we find the collective will to do so. Image Credits: First: Photo from pxhere, CCO Public Domain. Second: Photo from Poland NGL retreat 2018. Third: Photo by rawpixel.com from Pexels. This entry was posted in Collaboration, Gift economy, Uncategorized on March 30 / 2019 by Miki Kashtan. ← Can We Un-Skew Resource Distribution? So happy to have found you – I resonate so much with the concept of a self created self sufficient community with exchange of gifts and talents. I would definitely follow you and hope to be part of this new way of living on the planet.